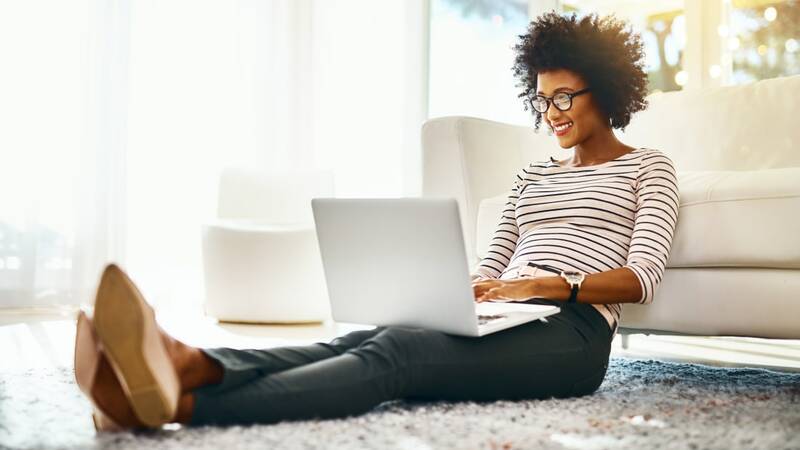 Working from home can be a great way to skip the headaches of your morning commute and enjoy some alone time away from the office, but it's not always as productive as you might hope. It can be hard to resist distractions like a pile of dishes in the sink, the puppy eyes of your playful dog, or the siren call of online shopping when you know there’s no one watching. There are ways to keep yourself on task even while working away from the office, though, as Fast Company points out. Laura Stack, who bills herself as The Productivity Pro, tells the magazine that setting regular work hours is one of the most important ways to make sure you’re staying productive when you’re at home. She suggests creating a firm contract with yourself about your work hours, and maintaining those boundaries. No matter what your working hours are, you treat that time period just as you would your schedule in a traditional office. That means if your coworkers are pulling a 9-to-5 day in the office, you should be working during those hours, too. No television, no booting up your computer then going into the kitchen to make pancakes for half an hour, no going to get your hair cut in the middle of the day. Establish a set time period for lunch so you don’t let your lunch "hour" turn into three hours. Setting specific hours isn’t just a good way to cut down on tasks that are distracting you from work. It’s also a good way to cut down on work creeping into your off hours. Studies have found that remote workers tend to work longer hours. When the line between work and home is blurred, experts argue, people have a harder time switching off for the day, and tend to let work bleed into their personal life. Setting specific, regular work hours can also help establish a boundary between work time and personal time, even if there’s not a physical boundary between office and home. Fast Company offers other suggestions for making the transition from office worker to productive remote employee, too, including scheduling breaks in your day and coming up with strategies to battle inevitable distractions. Read them all here. Looking to start working remotely? Try out your productivity skills in Tulsa, which is currently offering remote employees $10,000 to move to Oklahoma.